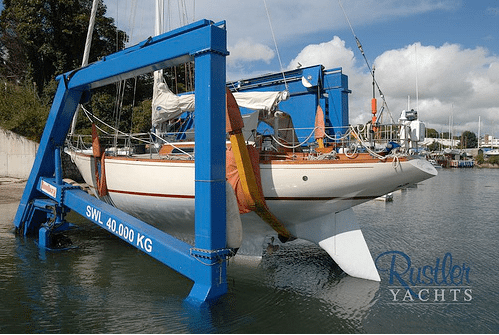 Falmouth Yacht Services is the repair, refit and service part of the Falmouth Maritime Group. It owns Rustler and operates from our Ponsharden site. Please contact us directly for more information about refitting. Falmouth Boatyard is a five acre waterfront site, surfaced in concrete, with power and water points around the entire perimeter. The site has a security fence, CCTV and a night watch service to ensure maximum security for your boat whilst in the yard. We operate a 40 ton hoist and can therefore accommodate most craft, from a simple haul-out and scrub to full winter lay-up. Our climate controlled factory includes our own joinery shop, moulding and finishing areas. Our skilled and experienced team ensure that your yacht is built to the highest standard using the best techniques and equipment. We believe that we have the best possible facility for the production of quality yachts. 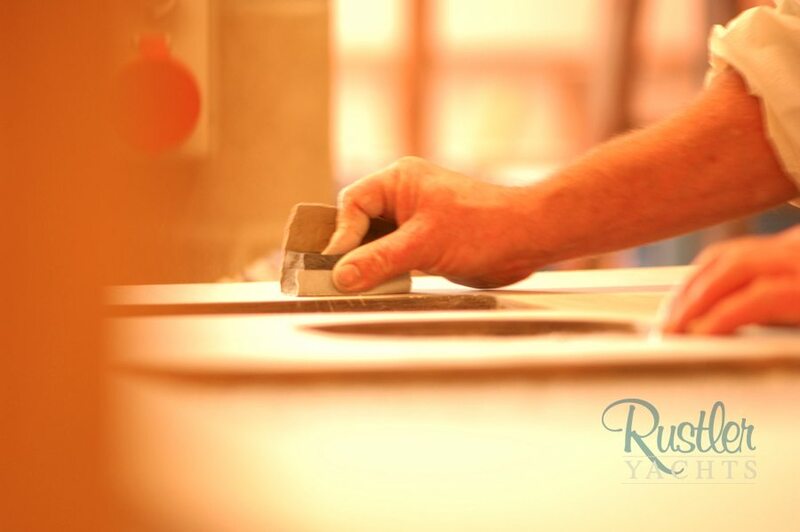 We actively encourage prospective owners to visit and see the build process in action. Through our preferred marine insurance provider, Admiral Marine Limited, we are able to offer an insurance scheme at very competitive rates that is tailored to meet the needs of Rustler owners. Please follow the link below for more details. 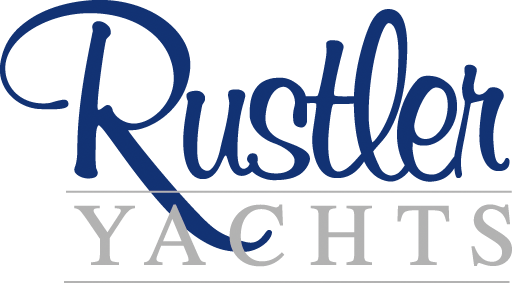 Owners and potential owners of the Rustler range of yachts deserve the very best. 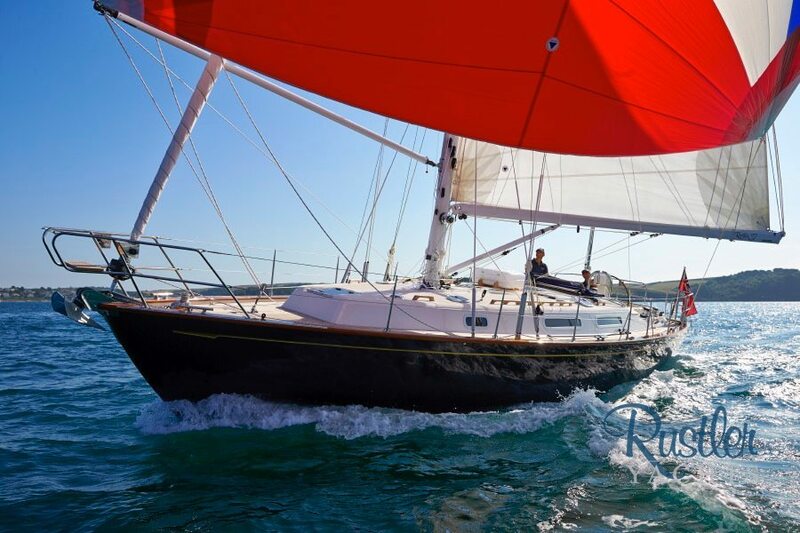 We have appointed Red-Ensign Marine brokerage as our international brokers for previously owned yachts. The team at Red Ensign have an in-depth knowledge of all of our yachts, as well as an understanding of both buyer and seller requirements. 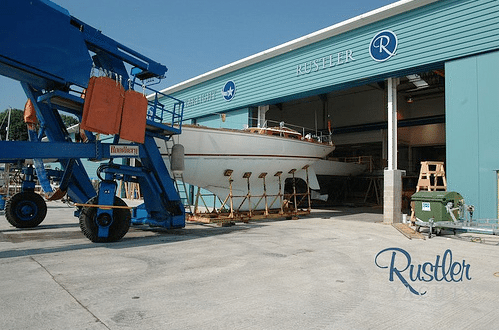 Based near to our factory facility in Falmouth, Red Ensign have an enviable reputation for customer service with clients from the UK, Europe and further afield. 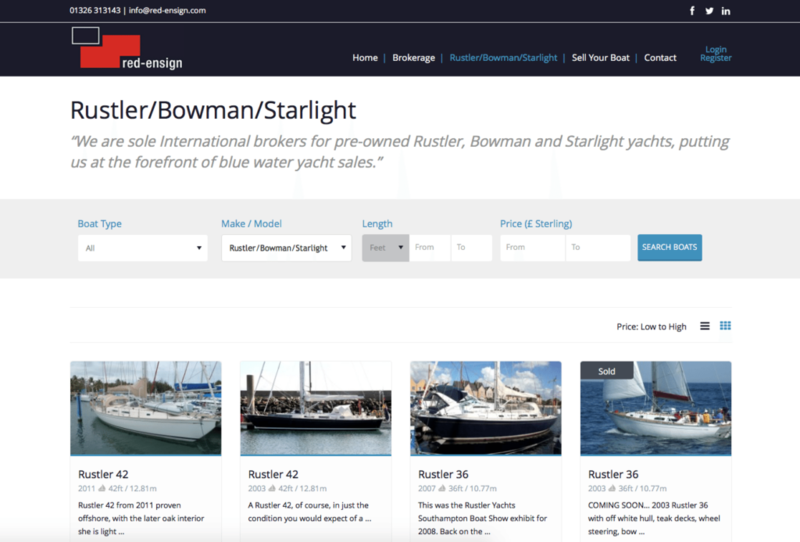 If you have a boat to sell, or are looking for a pre-owned Rustler please visit the Red Ensign website, or call the brokerage team on +44 (0) 1326 313143.